Love your Garden had us all sat with bated breath & hankie boxes at the ready after last week’s show and we definitely needed them again this week. 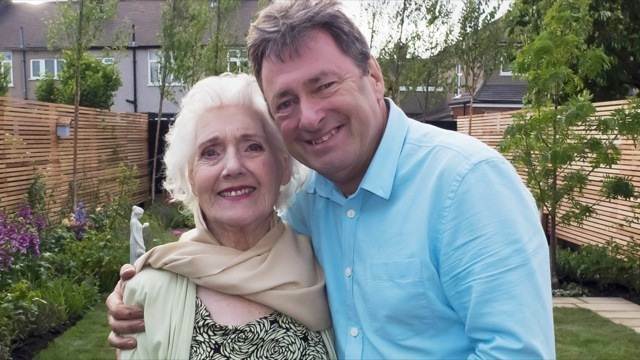 Alan Titchmarsh and the team of David Domoney, Katie Rushworth and Frances Tophill got to grips with a garden belonging to 90 year old Iris who had been struggling to keep her garden under control since the death of her husband 12 years ago. Last year, Iris had found cutting the grass of her large plot was getting more difficult and after a couple of falls it made her wary of venturing outside. This summer she decided it really was too much for her to take on. The garden was looking unloved compared to its former heyday, mainly laid to lawn with borders down each side, but without a path making it difficult for Iris to access. In its current state the garden was pretty uninspiring but Alan & team could see the potential beneath. When we look out on to a colourful and maintained garden it should enrich our lives. These spaces are sometimes the only outside areas less mobile people can enjoy because it may be difficult for them to get out. It is therefore important that they bring happiness and a place to retreat into. Iris explained to Alan that the garden of her dreams would contain roses and lovely flowers that would encourage the three B’s, bees, birds and butterflies, it would have an area for her to sit so that she could watch nature around her and enjoy being outdoors. At this point Alan brought in the rest of the team to help with the redesign of the garden. David was tasked with getting to grips with the fencing, Kate with the planting scheme and Frances with a water feature, perhaps a pond. The garden style Alan wanted to achieve was a wonderful looking garden that Iris could appreciate from her window, but that was low maintenance enough that Iris would still be comfortable looking after it. It needed to be a safe place for Iris to move around and enjoy the garden, by adding smooth paths to the long garden it would enable Iris more movement through the garden giving her a different view from wherever she stopped. Alan visited a garden in Hearn Hill, which was of a similar size and shape. The large rectangular plot was made up of lawns, a patio and a vegetable plot that was accessed by straight and curved pathways around the garden. The paths differ in style, leading you from one area to another, changing the feel of the garden from formal to informal with the planting of different styles of flowers, bushes and trees. Being in a suburban area the further you got into the garden, the more the traffic noise gave way to the russelling of foliage and the sound of bird song. With each turn in the path it gave a different view to the garden and something new to look at, opening up parts of the garden that you didn’t realise existed. This is the feel that Alan had in mind, he wanted to capture the spirit of the garden and put into Iris’s garden. Bland gardens, can become beautiful areas, whatever their shape or size. To make a wildlife-friendly garden, Alan needed to include as many plants that would attract the birds and insects. To encourage them into the garden, they need food from the pollen and berries of flowers such as lavender, foxgloves, roses and geraniums; and plant cover from Pyracantha in which to build their nests. Iris’ grand-daughter explained to Alan that there was a rose that was particularly special to her, it was called Uncle Walter, a hybrid tea rose which needed to be included into the garden plan. Roses come in many colours with fabulous scents that make a garden smell wonderful, but open roses with five petals make it easier for birds and insects to feed from the pollen. Closed roses with tight heads and lots of petals make it difficult for insects and birds to feed. With many varieties if you leave the flowers once bloomed to form seed heads this gives birds something to feed on during the winter period. The garden needed to be less labour intensive than before and to do this Alan wanted to introduce gravelled areas to the garden. Gravel helps to prevent weeds, retains water, looks good all year around and with the right type of drought-tolerant plants, cuts down on watering during summer months. Iris’s garden was looking totally naked after being stripped back to bare ground, all previous features had been taken away and the team were starting to work miracles. They replaced the old fencing on the boundaries, marked out the soil for new flower beds and gravelled planting areas, a pond and a last minute addition to the garden of a summerhouse. The summerhouse at the end of the garden would be accessed by a path that extended halfway down one side of the garden, then cut back into the garden before heading off towards the pond and the summerhouse. From the summerhouse Iris would be able to sit back, relax with her memories and pictures from the past and look to the future in her new garden. Once the team had finished the garden was now full of interest, wildlife and colour. Iris, her family and friends were no longer in a barren garden. This new lease of life for the area would encourage wildlife and enable Iris to enjoy many more years in her new garden with plenty to watch. Iris was thrilled with the new garden and had a tear in her eye as she thanked everyone for their hard work in creating it even through the terrible weather they had experienced. • to encourage birds and insects into your garden, plant with flowers that will feed and give shelter. • when laying a new path and paved area, seat new slabs and bricks on to a concrete mix by tapping then with a rubber mallet to bed them down onto the concrete to ensure they are secure from movement, check that they have no high points by using a spirit level. • when making a formal garden edge with Box plants, to give added structure to the corners, make them triangular, filling in the corners on the angle. • when making a gravel garden area the suggested depth of the gravel is at least 2″. This will keep down the weeds and help to retain moisture in the ground, during dry periods. • if planting new rose bushes, dig the hole deep enough for the root ball to be a few inches below the ground level and cover well with soil to prevent tubes coming from the root ball. 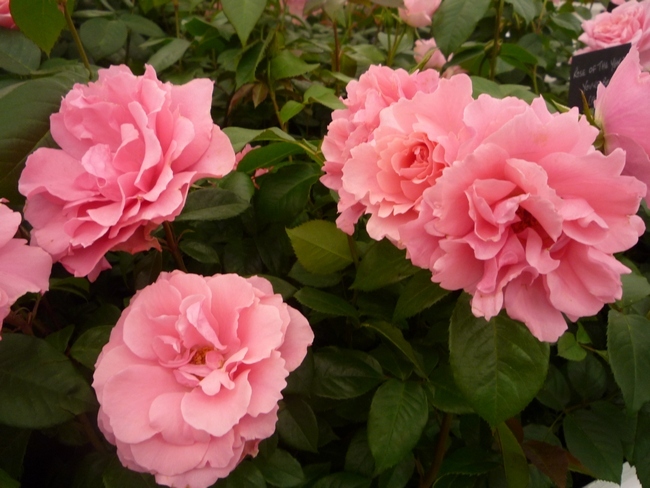 Feed roses regularly during the season and dead head to encourage new flower growth. • install a watering system into the garden that can be programmed to water when you are away or if you are not as physically mobile as you used to be. This will cut out the need for walking around with a watering can. If watching the Love your Garden team has inspired you to get out in your garden, remember gardening is great exercise, puts you in touch with nature and is fun and enjoyable. Alan suggests when you start to work in your garden, start from the end closest to the house so you can see what you have done at the end of your gardening day. This will keep you inspired on what can be achieved. Remember don’t do too much in one day. You may be using muscles that you have not used for a long time and you don’t want to hurt yourself the first few times you are in the garden. If your soil has not been turned over for years and no new plants added why not add some mulch to the ground, to help feed your plants, keep the moisture in and the weeds down? Why not take the opportunity to enter the Anglian Home Improvements prize draw to win a £10,000 garden makeover courtesy of David Domoney. 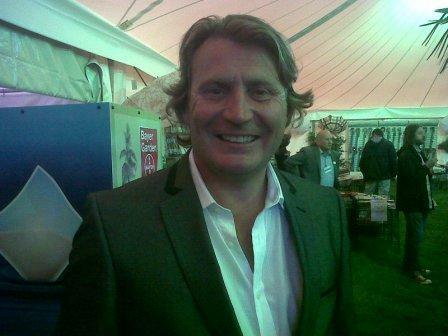 This prize consists of advice, consultancy and design ideas from David Domoney. David’s team will then carry out the work on your garden according to the plans and take you to your local garden centre where you will have up to £2,500 to spend on plants, trees and ornaments for your garden to fit in with David’s exciting new design. So do not hesitate, you could be the proud owner of a lovely new garden. To enter, click here and follow the instructions.